There is also a sign on the west wall of this building. Click for view of side wall. Also a Mack Sign Co. layout for the side wall. Click for layout. The Mack Sign Co. painted these signs at least twice. Bob Middleton, who worked on it the first time with his father, Harry Middleton, in 1950 and the second time in 1963, writes: "Very windy job, blew the tray boards almost off the scaffold. The front panel was also done in 1963 by Mack. PS, the approx. size of the wall is 28 ft. deep X 100 ft. long. The strip sign [front panel] is approx. 8 ft. deep X 125 ft. long. Weather permitting approx. eight or nine days, with four men (YOUNG MEN)." The building appears to have been built in 1920 as a 6-story "auto service center" (Office for Metropolitan History, "Manhattan NB Database 1900-1986," (June 2010), http://www.MetroHistory.com). Acme Van Co. moved here around 1950. They stayed at this location until going out of business around 1974. The founder of Acme Van was "Louis A. DeStefanis (1905-1998). His death notice in the New York Times, 22 Jan. 1998, read, "DeSTEFANIS-Louis A. Who retired as an executive in the moving and storage industry in 1970, died Jan. 20 at the home of his son, John. He was 92 years old and lived in Southampton, New York. The cause of death was heart failure. Mr. DeStefanis established his own business, Acme Van Company, in Manhattan in 1925 and was a leader in the industry for the next 45 years. He was president of the City Movers Association in New York for many years and served from 1963 until his retirement on the Board of Directors of United Van Lines of Fenton, Missouri, for whom he was an agent for over twenty years. He was chairman of the New York Movers' Tariff Bureau and a director of the New York Furniture Warehousemen's Association. Mr. DeStefanis' wife, the former Ethel Engelman, died in 1975. He is survived by six children; three daughters, Pauline Julig of Kennesaw, GA, Rena Hines of Falmouth, MA and Linda Kofmehl of Greenwich, CT.; three sons, Thomas of Fernandina Beach, FL, John of Sagaponack, NY and Robert of Sag Harbor, NY; twelve grandchildren and eight great-grandchildren. A brother, Ralph, of Amityville, NY also survives. Mass Thursday, January 23, 10:30A.M. St. Andrews RC Church, Sag Harbor. Interment Southampton Cemetery." This ad for Acme Van Co. appeared in the Manhattan Yellow Pages, 1971. 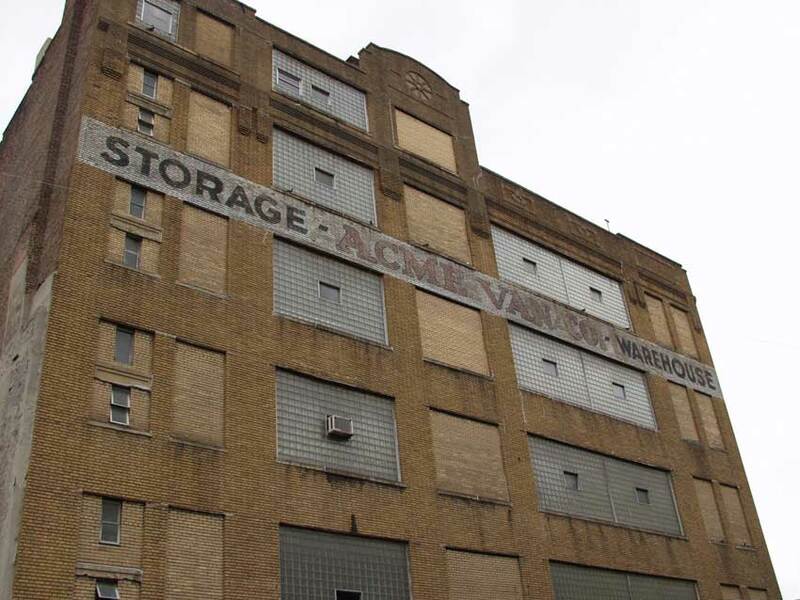 By this time Acme Van Co. had become a division of Weissberger Moving & Storage. Weissberger was in business in New York from around 1915 and grew out of the earlier I. Weissberger & Son, a storage and vans company that began in the mid-1890s. I. Weissberger was Isidor Weissberger, an immigrant from Hungary, who appears in the 1910 U. S. Census living at 455-457 East Houston St. Isidor Weissberger was 60 years old at that time, and his son, Harry, was 27. Both had immigrated from Hungary 1890/91. Harry Weissberger (1883/84?-1958) established his own moving and storage company approximately 1917. Harry Weissberger registered for the World War I draft in 1918 when he was 35 years old and lived at 220 W. 110th St. His occupation was "Truckman, Weissberger Moving & Storage, 425 & 427 E. Houston St., N.Y., N.Y." In this registration Harry Weissberger gave his birth date as 28 August 1883. He also registered for the draft in 1942, when he said he was born 18 Sept. 1884. In 1942 Weissberger Moving & Storage was located at 214 E. 22nd St.
On his death, Harry Weissberger's obituary appeared in the New York Times, 18 Jan. 1958, p. 15, reading, "Harry Weissberger of 7 Lexington Avenue, former president of Weissberger Moving & Storage Company, Inc., 214 East Twenty-second Street, died yesterday in Palm Beach, Fla. His age was 73. A native of Hungary, Mr. Weissberger was brought here at the age of 2. He entered his father's moving business as a boy, and assumed its active direction at 17, gradually building the small company into one of the city's largest. ... On Jan. 1 this year Mr. Weissberger resigned as president of the company and assumed the presidency of the Weissberger Trading Company, a personal holding company founded to carry on his investments and philanthropic activities. ... He leaves his wife, Etta; a son, Arnold; two daughters, Mrs. Marshall Safir and Mrs. Herbert Brooks; six sisters and five grandchildren." Harry Weissberger's daughter, Gladys, married Marshall P. Safir, who was president of Weissberger Moving & Storage from 1955 to 1968. Marshall Safir was the brother of New York Times columnist, William Safire, whose "On Language" column, 28 Feb. 1993, included, "Heads up! ... replaced a longer expression, immortalized in the sobriquet of Look-Out-Below Bernstein, a legendary New York piano mover of the Weissberger Moving and Storage Company."